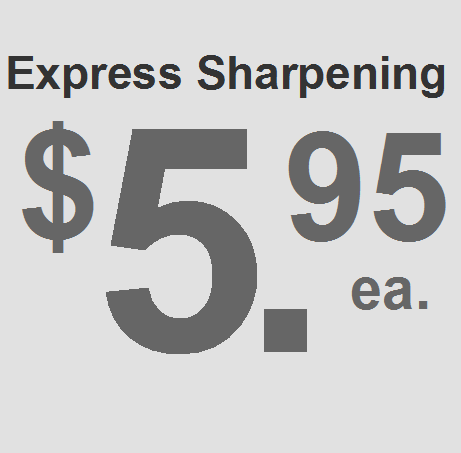 Thank you for visiting my knife sharpening service site. Most visitors are here because they depend on sharp knives on a daily basis and want to learn how to get their knives professionally sharpened. 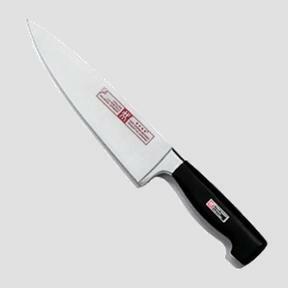 Many are coming back to the philosophy long held by top chefs and knife ethusiasts - buy quality knives, maintain them and use them for years. 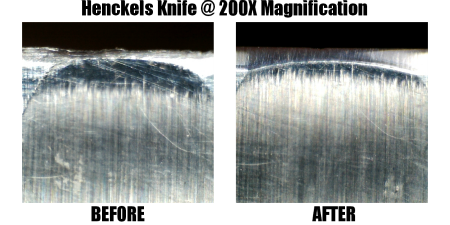 I encourage you to click through my site and learn more about my knife sharpening service and welcome you to contact me. 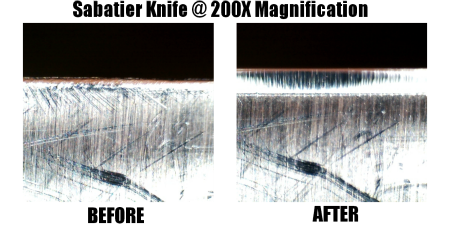 This is what a typical knife looks like when it arrives at my sharpening shop. 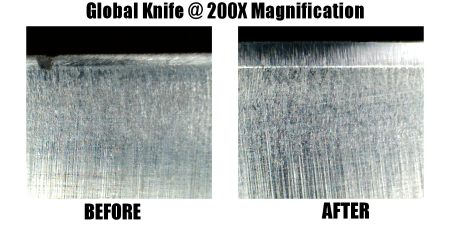 Keep in mind that the chips it had before sharpening were barely visible to the naked eye. See the difference for yourself! 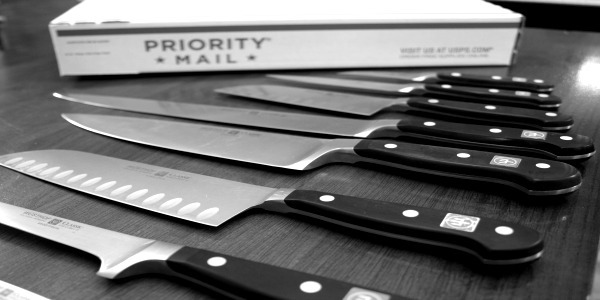 Allow us to restore your knives and kitchen cutlery with the devoted care and professional service your tools deserve. We are not a production knife sharpening facility. We are a specialized shop, unhurried and uncompromising in our approach taken to sharpen your knives. 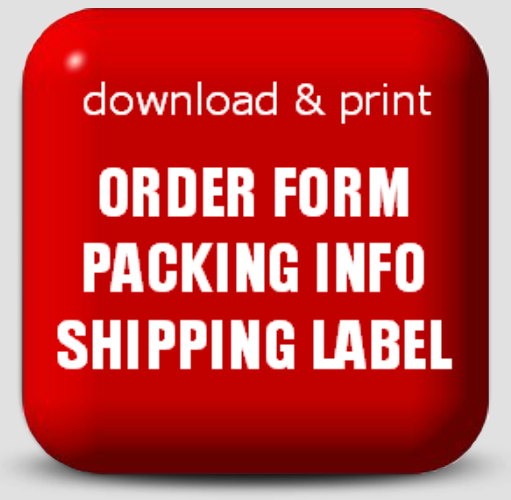 We provide kitchen and hunting knife sharpening services nationwide by mail. It's becoming somewhat difficult to find a local knife sharpener these days, we know. We hear it all the time. 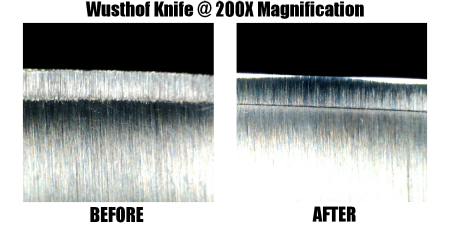 Finding one that understands the importance of proper sharpening methods and techniques is even harder. This by the way, is our specialty. Get Your Knives Sharpened Now! Out of respect for your local knife shop, should you be in need of knife sharpening services, check your local yellow pages first, and pursue his services first. If you run out of luck there, feel free to contact me. 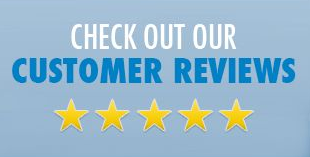 I'd like to gain you as a life long customer as I have so many families who know and respect what their knife needs and deserves.